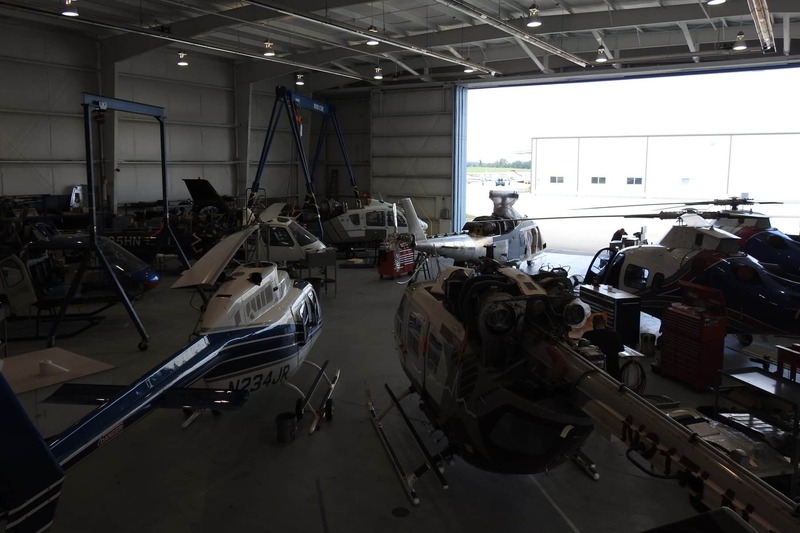 Vision – Our vision is to be the industry leader in the rotor craft maintenance, completions, repair and overhaul industry. Mission – To consistently deliver higher-quality services and make those services easily accessible. Integrity – Conduct all matter of business with integrity. Proudly uphold the values of honesty, truthfulness and sincerity, while remaining fair and ethical in even the most difficult situations. Seek to constantly maintain a professional demeanor despite facing critical decisions while conducting business. Be ethically unyielding and honest. Inspire trust by saying what you mean, match your behaviors to your words and take responsibility for your actions. Commitment – Create raving fans by giving the customer a positive and memorable experience. Provide both our internal and external customers with service that they can count on. Respond constructively and positively to their needs and always follow-through on our promises. Welcome every customer with a handshake and smile. Accountable – Be accountable to ourselves, our team members and our partners. Take pride in every aspect of the operation and in everyone’s job. Accept constructive feedback as an opportunity to learn and grow. Understand what’s expected of us and work to surpass our goals. Respect– Treat customers and co-workers with respect, listen thoughtfully to others’ opinions and work to clarify common goals. Be open and honest with others and seek to create a culture of transparency. Inspire trust in others by saying what you mean, -being humble, and doing what’s right, EVEN WHEN NO ONE IS LOOKING. Excellence – Strive for excellence by embracing change. Follow the maintenance manuals on every job. Treat every job as if our family members will be flying in the aircraft. Make sure the customer leaves satisfied by going above and beyond what they asked for. Build customers for life because we understand that other lives depend on the quality of our work!